Itihaas is a word derived from Hindi referring to history. 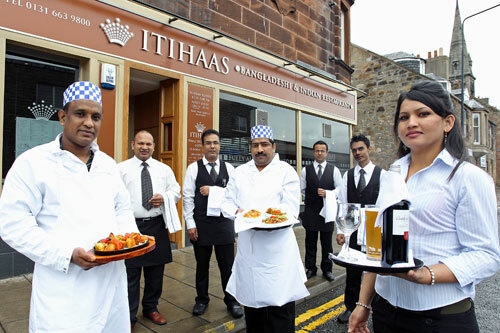 In Dalkeith, Midlothian – Itihaas is known as an award-winning Indian Restaurant. Due to its recognition, Itihaas also serves diners coming from Edinburgh and afar. Once you have made your choices it is then up to the staff of Itihaas restaurant to repay the compliment. Just sit back, relax and enjoy the experience of Itihaas and its Indian cuisine. Sit-in 2 courses. £11.95. Monday-Thursday 5-7pm. Indian dishes to savour again and again. 3 course Banquet. Your treat every Sunday. Call and Collect your dishes to take home. Finest Scottish Salmon marinated in spices, herbs and olive oil cooked in tandoori. Chicken kebab cooked with fried green chillies, garlic and a variety of herbs and spices. A most popular chicken dish cooked with fresh herbs and spices in a fairly hot sauce. Garnished with fried green pepper, diced onions and green chillies. King prawns in a subtle sauce enhanced by fresh coriander on a bed of puffed fried bread and accompanied by green salad. Pieces of marinated lamb cooked in a tantalising pickle massalla, garnished with whole green chillies and fresh coriander. Lightly spiced minced chicken balls, shallow fried and served with salad and mint sauce. A fairly hot chicken kebab dish cooked in a ginger sauce with lots of coriander. Deep fried balls of gram flour, onions, mixed vegetables and a variety of spices, served with special sauce. Cooked in a mild flavoured sauce with fresh herbs and spices. 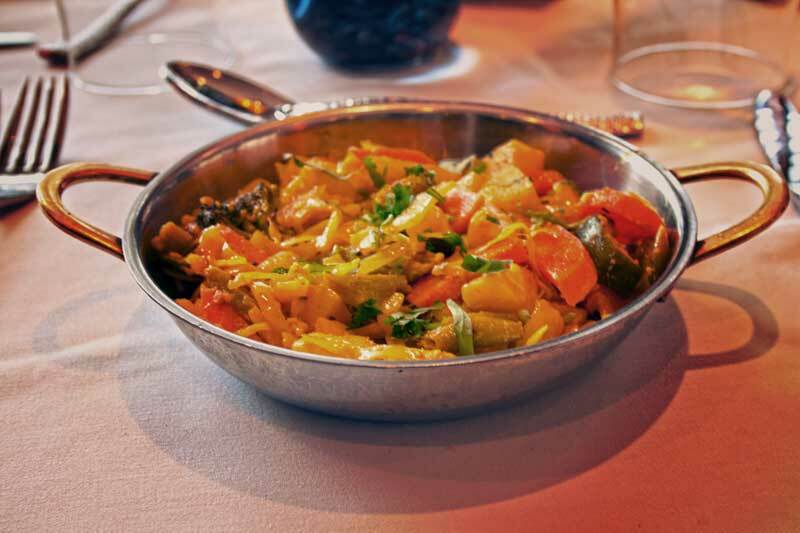 Experience new Indian dishes from our Recommended Meals feature. We’ve put together several dish combinations for you to savour.